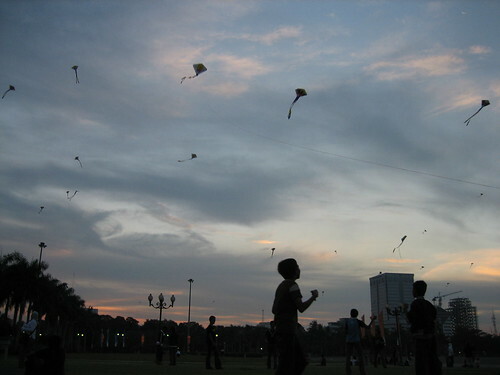 One of the better things to in Jakarta, in front of the presidents last erection, watch the kids fly kites as the sunsets. Of course we haggled hard, bought one too and joined in, I was particularly pleased with my handmade kite as it had a drawing of Sponge Bob Square Pants on it. Great! Nice photo. Consider it stumbled for ya! I really love kites! I am totally for this kind of celebrations. Kite flying is truly an amazing experience, it is the ease with which the local children fly kites and the struggle that we got to make to make it rise up the ground. i love this pic…amazing kite flying isnt it..ill probably need to see this.